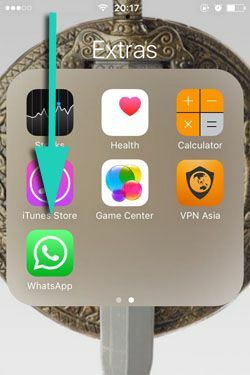 If downloading pictures is annoying you on iPhone and if you would like to stop that auto downloading at all on WhatsApp messenger, this guideline will help you about this. If you ever stop auto downloading with WhatsApp, you will able to download these files manually. Please click here to learn how to do that. Let’s begin to tell you how to disable auto download step by step with pictures. 1-) Run WhatsApp messenger application on your iPad or iPhone device. You can do the similar steps for iPad devices too. 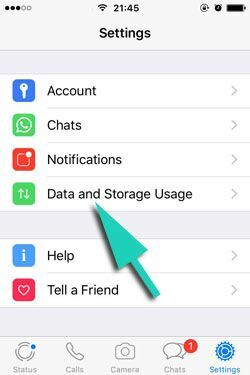 There is not much differences between iPhone and iPad WhatsApp settings. 2-) Tap “Settings” on the menu of iPhone. 3-) Tap “Data and Storage Usage” on the settings page. 4-) Tap on “Photos” on the menu of “Data and Storage Usage” page. Please see the picture below. 5-) Tap on “Never” on the selections. You will disable all auto downloads with the selection of “Never” at the last step we have told you above. You will no more get pictures from WhatsApp conversations. So you will also secure limit of your Phone’s storage. See Also: WhatsApp Images Deleted Automatically on Its Own, How to Recover? We don’t recommend people to disable auto download of pictures for every chat. People are generally complains about groups which is shared too much pictures. We recommend you to disable downloading medias for those groups only. 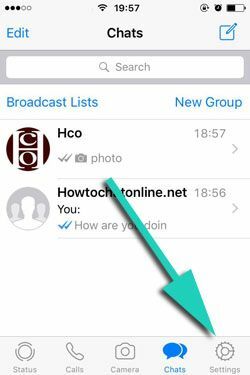 You can see how to do that on this guide: How to Disable Auto Media Save of WhatsApp Group on iPhone. If you are decisive about disable this feature at all. You won’t able to figure out what are people sharing as an image in all of your conversations. Some of those can be important data personally or for your company. If you are having trouble with auto download of photos on iPhone, please let us know.